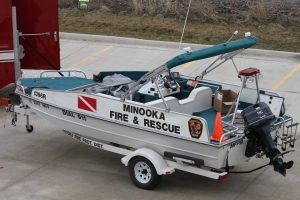 Minooka Fire District utilizes water rescue technicians for surface and underwater rescue situations. We work closely with nearby departments to make sure all water rescue personnel are properly trained and outfitted to perform their duties when the need occurs. 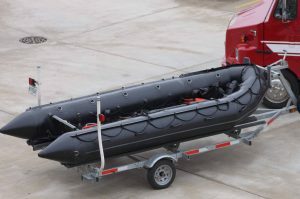 The training schedule consists of swift water training during the spring, diving and boat operations during the summer and fall, and ice diving and surface ice rescue during the winter. Our people are ready for any water emergency. 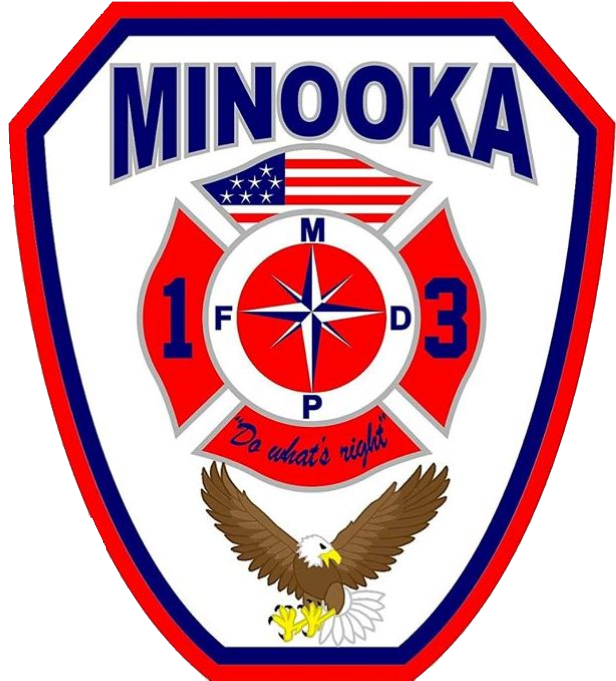 Minooka and the surrounding communities have several major water ways: Des Plaines River, Du Page River, I & M Canal and Aux Sable Creek, plus several lakes and ponds. Also, located on these waters are numerous chemical and industrial plants. There are both commercial and pleasure boat activity on the Des Plaines River.